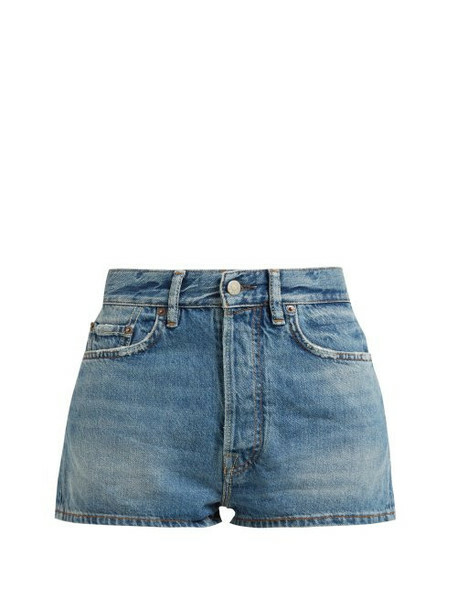 Acne Studios - These blue denim shorts from Acne Studios will swiftly become a warm-weather wardrobe mainstay. They're crafted with a mid-rise waist that is set with the classic five pockets, then finished with contrasting brown and yellow topstitching. Pair them with fresh white trainers and a cotton shirt for a relaxed weekend edit.